All it takes is a phone call to a friendly, knowledgeable HDIS Customer Care Representative who will share their warmth and extensive insight with you while answering your questions or helping you decide which products are right for you. We’re happy to send you a sample to try to ensure that the product you choose will work best for your personal needs. HDIS carries a large and varied selection of only the highest quality adult incontinence products including popular brands like Reassure®, Depend®, Poise®, TENA®, Always Discreet®, Tranquility®, and Attends® that you already know and trust, plus many specialty products. Because we carry such an extensive selection we will have something to fit your needs. And unlike other places, HDIS always has these products in stock and ready to ship the same day you order! Please call us at 1-800-2MY-HOME® if you have any questions that haven't been answered here. Or remember, you can request a free catalog, or make all your purchases, right here from our web site! Our award-winning Customer Care Representatives talk to people who use absorbent products every single day, helping them choose the products that best meet their needs. When you call HDIS, you'll always speak to an experienced, caring professional who not only understands our products, but your needs and feelings, too. Just try us once and you'll never want to go back to buying from a store. 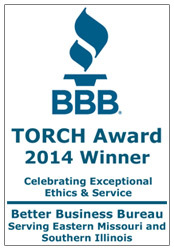 Our dedication to customer service has earned HDIS an A+ rating from the Better Business Bureau. Have you ever found yourself staring at an empty bag when the last thing you want to do is go outside? Like in the middle of the night? During a thunderstorm, or even worse, a snowstorm? When you buy from HDIS, you won't care what the weather's like. Because you only have to go as far as your front door! No more going to the store with the hopes that they will have the products you need in your size. No more wrestling those bulky bags and boxes into your car and then into your home! At HDIS, we take care of all that for you and with our Personalized Delivery Plan, getting your incontinence products is more convenient than ever. Having sold more Attends®, Depend®, and TENA® products than any other mail order company, we have talked to thousands of people who live with incontinence daily. We noted each customer's opinion about what they want in an absorbent product and used this information to design the Reassure® line of incontinence products. While Premium in design and quality, these products come directly from HDIS. There is no "middle-man" markup so you get them at wholesale price. At HDIS, we understand that purchasing incontinence products can be a sensitive issue. Therefore, all packages are delivered in plain brown boxes. The discreet box gives absolutely no indication of what's inside. Even our mailing label is discreet, displaying only the name "HDIS". HDIS complies with applicable federal civil rights laws and does not discriminate on the basis of race, color, national origin, age, disability or gender. HDIS does not exclude people or treat them differently because of race, color, national origin, age, disability or gender. HDIS provides free aids and services to ensure all of our customers can communicate effectively with us. If you need access to these services, or believe that HDIS has failed to provide these services or discriminated in another way on the basis of race, color, national origin, age, disability or gender, please contact HDIS’ Compliance Officer at Compliance@hdis.com. At HDIS, we stand behind our products and services 100%! If for any reason you are not completely satisfied with the products you receive from us, you may return unopened packages for a full, no-questions-asked refund in the original form of payment. There is no restocking fee, and you will not be charged for our cost in shipping the product to you. Once we receive the products back, we will credit your account or issue a refund within 14 days. Due to health regulations, we cannot accept returns on any opened packages or used items. You are responsible for the cost of shipping the product back to HDIS. All products must be returned within 60 days of purchase. Our customers have told us again and again that they are so relieved to be able to get the products they need, when they need them, without having to go to a store. Effective March 2015, HDIS is no longer a Medicare Contract Supplier for diabetic testing supplies. Please see www.medicare.gov for a list of contracted suppliers.